In a previous post ‘Born in 64’, I called for my quilting friends to make a simple cross block and sign it with their name and how quilting makes them feel. Over the last week I have received 6 blocks from all parts of the world. It is exciting collecting the mail from the PO box now that I am getting these blocks. 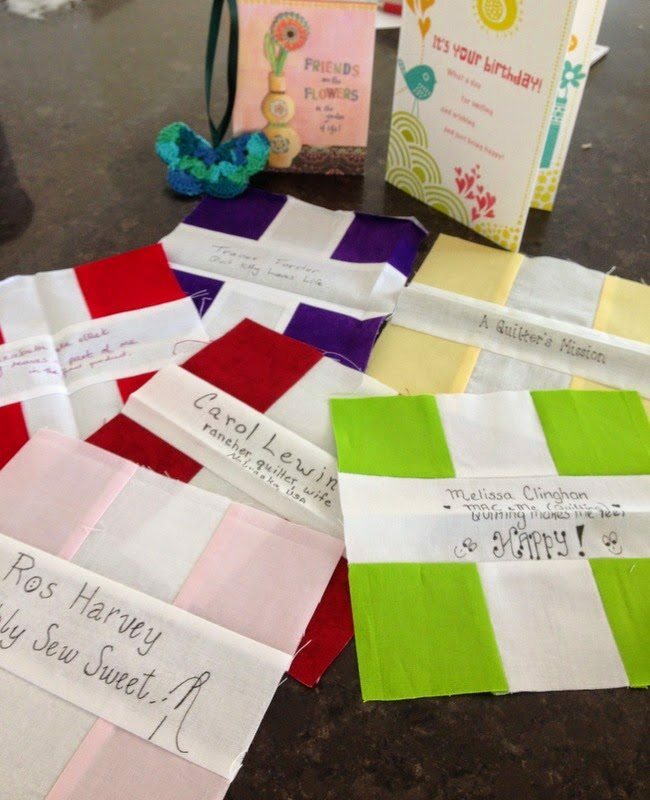 Thank you – Ros, Carol, Melissa, Elizabeth, Tracee and Vicki. I love my birthday cards and the messages on the blocks. Elizabeth has even added a beautiful crocheted butterfly book mark. Thank you so much. If you would like to make me a block details can be found here. 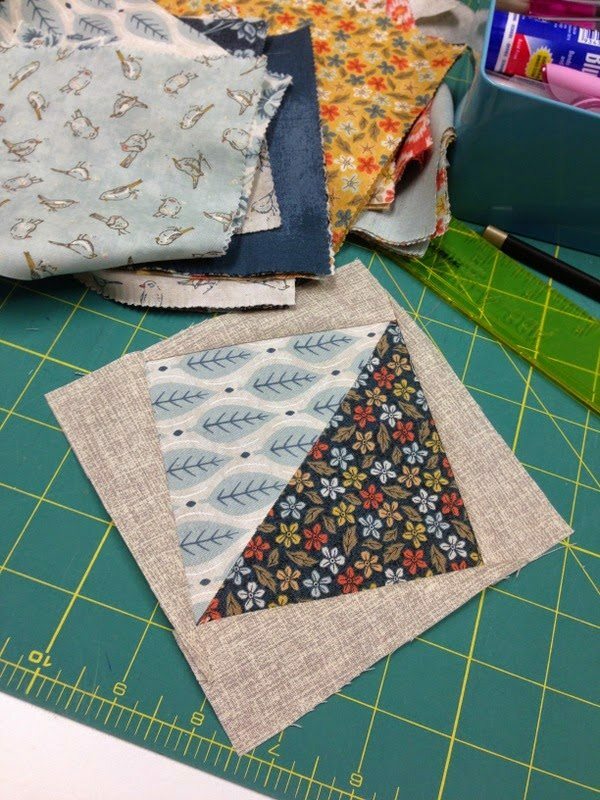 I have been working on a little quilt for the upcoming Fat Quarter Shop Jolly Bar blog hop. If you have not seen the new pre-cut exclusive to FQS, they are 5″ x 10″ cuts from a Moda collection. 42 pieces in total. Each Jolly bar comes with some great patterns. 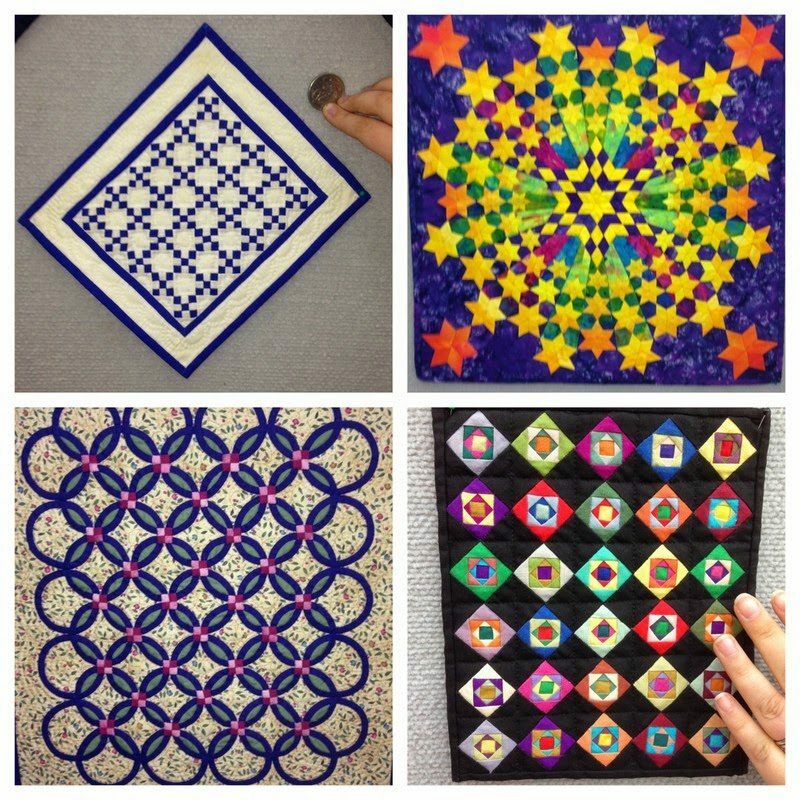 On Sunday, a few local quilters and I attended the Samford Quilters show. It is held every 2 years at the Samford Community Centre. 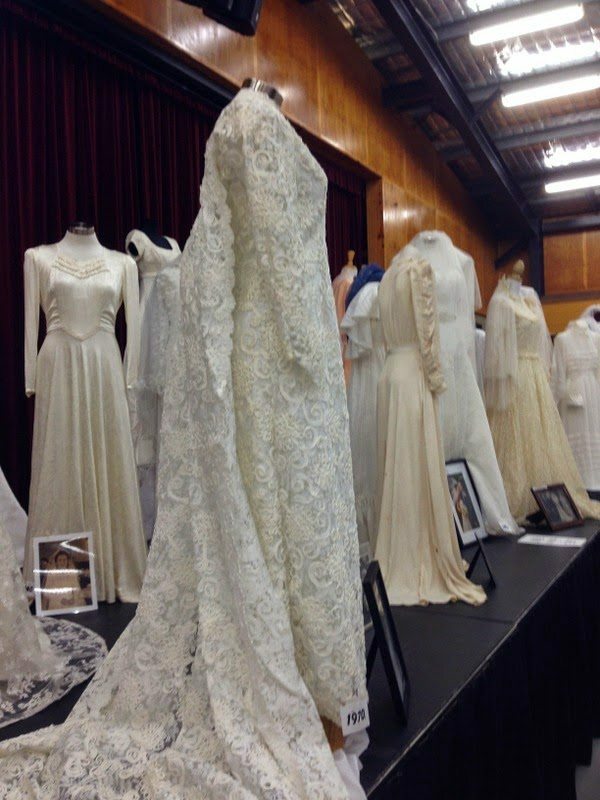 They Petrie Historical Society had a display on the stage area of the hall with wedding gowns from all eras. What was particular interestings was that they had the wedding photo displayed with each gown. There were some exceptional quilts on display but my favourites were the minis. The skill and patience required to sew all those tiny pieces never ceases to amaze and inspire me. So glad that you received your block! That was so much fun. Now those are some tiny pieces! Happy Birthday, some great blocks there. Fabulous photos of the quilt show too – thank you. Glad that the block arrived and that you liked it. Butterflies have a special meaning for me so enjoy.